At a time when we have already made our transition to a new dimensional space, and we are finally claiming our true cosmic heritage, some of us, are being attacked by many dark forces who are desperate to regain control of the Earth. This is something that have been especially occurring since our planet began its bifurcation from old earth and that many of us, in different ways, have been dealing with, occasionally. As you know in our ascension journey not everything is love and light, for we will be denying the dark polarity that is also a part of our dual universe. When we are attacked, as it was my case last night, by any negative entity, our main aim, as ascending souls, is not to ignore it but to share and inform properly those who are beginning to step into this evolutionary journey and find themselves lost, as we also were once. The ones who have as a personal mission to share our unique experiences have the responsibility to make public, whether it is taken positively or not, what we experience to show others what is truly happening behind the physical veils. This is a time, as you already know, of deep integration. Many of us have been working 24/7 for this is not just a mission but who we are, to seed unity consciousness, as we continue to evolve within this endless spiral. This is precisely why we are being targeted by the ones who have as their main purpose to regain control of the Planet, as they have been doing until recently. Last night I was astrally attacked by draconian entities and even though it happens very rarely to me, and I always use my protection twice a day, it happened. I woke up in the middle of the night, I was deeply guided to write about it, although my human self does not feel comfortable. This is not to bring panick to anyone, but to inform of what many of you already know is taking place, as well as to show that if we stand in our power and Light, we can overcome any attack and regain strength to continue with our mission. This is a very important phase of our journey, one that many of us have been working for many incarnations, not just this one. It is our task to speak, share, express our feelings and personal experiences so the new ones know how to protect themselves and react when these attacks occur. There are many reasons why these attacks happen. This is why it is so important that we become the neutral witness of our own human journey. For we can fall into egoic delusional traps as thinking that we are being attacked just because of our light, when there are many other reasons. If you are still passing through a healing process or beginning to awake, then these entities will try to put you back into a lower state of consciousness. This can happen in many ways, it does not have to be necessarily in the astral with dark entities. The same damage can be done by humans who work for these dark forces or are literally possessed by them as well as by many others who walk under false light. It is important that we remain grounded and centered into our hearts to distinguish the purpose of these attacks. Some people, still ruled by their egos, which is perfectly fine, for we all learn by experiencing these stages, may think it is because they are very powerful, when in truth it is because they still are carrying some old habits/thoughts etc. that invite these entities or call them in a way, into their auric field. When one is certain that is functioning from a whole and healed space, and occasionally experience these attacks, is when they are coming to dim your light. 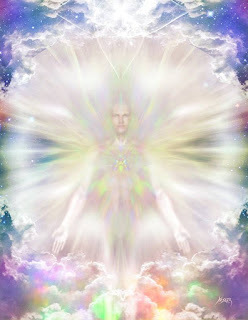 But it is important to discern if first we still need to clear/heal/dissolve something that is still active within us. There are many signs that can tell you if you have suffered a dark attack, this is why it is important that you distinguish it from mere dreams or human illusions. If the attacks occur to you often, then this is telling you that you are in need of moving inward, observe your own process and see what is not yet unified. If the attack is simply felt as some kind of control or simply as a way to disempower you and what you are doing, then it is because you are one who already stands firm in your truth and it is meant to confuse and manipulate you. There are many who are not yet fully conscious in the astral, when they fulfill their unique tasks there and that are not aware of the fact that they are being attacked. As I am conscious, it is easier for me to discern what is taking place. However, there are many who do not even remember their dreams, sometimes as a form of protection for them, or simply they do not know if they dreamt something strange or what exactly took place in their dreams phase. As this is something that takes inner work and dedication, I will name only the basic sensations that I have experienced myself in the past, in case it can be of help, as recently I have only experienced how they try to drain me for there is nothing else they can attack me with anymore but my energy. Emotional attacks: these entities use past unhealed memories/situations/relationships to create guilt, pain, and unworthiness feelings, between many others, within you. They do so by implanting mental fake memories, within real ones, where you are always the one who acted wrong. This is used to show you that you are not as pure as you think and that you made mistakes in the past. If you have not worked with soul retrieval, if you have not forgiven, yourself and others, then they will find an easy entry to torture you for your past deeds. If this is your case, and you wake up feeling sad, remembering past situations that you thought were healed, is an indication that you still need to work with them. Only being compassionate with yourself will help you in bringing clarity and love to the situation. Otherwise, you can fall into their trap. Solar plexus attack: this is something I have experienced, and it is very difficult, at least for me to describe, when they try to literally drain it and take away my/your power. Similar sensation as having fever. Waking up sweating/crying, with your feet and hands totally stiff and even the nails nailed to the skin. This is a sign of how much the physical body has suffered during the attack while you were sleeping. Electric sensations in your hands or other parts of your body as it is your spine. Deep pain in your body: hands, feet, legs, neck and head. Being emotionally and physically exhausted. These are just some sensations after waking up after an entity attack. However, I know there are more as chronic fatigue, depression, even physical marks and manipulation of your sexual creative force. If this is happening to you then this is a major attack that must be treated with different tools, for this goes further than what I am referring to, at this time. 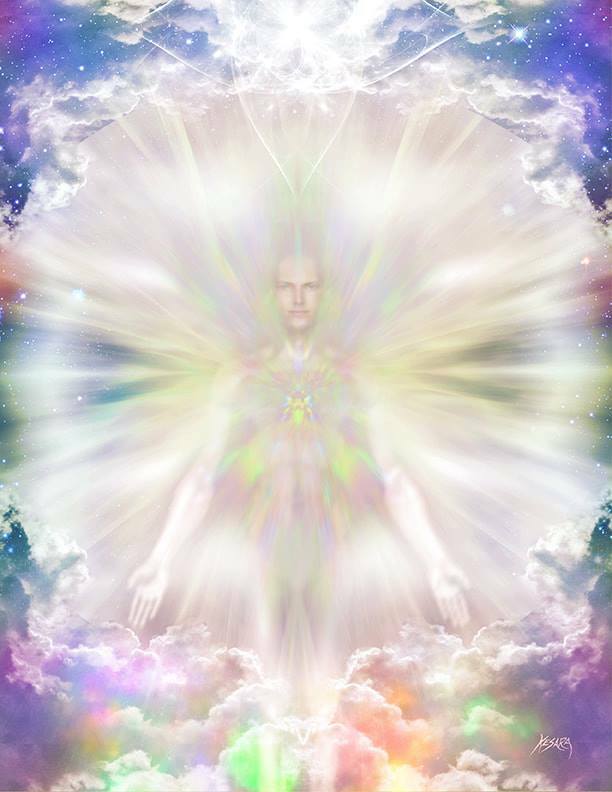 What I personally do after experiencing an astral attack while I am performing my mission, is to be in neutral observation for the required time for me to understand why it occurred. Observing ourselves and human experiences from a neutral space, is very important for every crack we may have in our auric field, is going to be used by these dark forces to penetrate into our sacred space. After having consulted it with my Guides Team and knowing it is all an attempt to diminish what I am and do, then I proceed to clear my physical and non-physical bodies, remember that all of them are equally important, not just the physical one. After that I do the protection declaration, again. I also use behind my pillow two crystals, although this is very personal, and other tools to clear myself and sacred space. As you are your own master and we are all unique, I leave it to you to use the tools that best resonate with who you are and where you are, at this moment in your ascension path. There is nothing to fear when one is centered into one's heart. The most important thing that can be done while we are being attacked whether physically o non-physically, is to keep our hearts wide open, for this is the most challenging thing to do when we experience an unpleasant situation. As conscious and sovereign souls, we did not come here to judge, not even the purpose of those who work for the opposite polarity, but to understand and be compassionate towards All beings within Creation. It is precisely when we dwell in he Love that we are, that we can overcome any attack, as we understand from where these beings are coming. It is important to remember that we may have been there once too, and the only thing that can dissolve the illusion of separation and the shadows we often tend to create, is to act as pure Divine Love Conduits. This does not mean we do not protect ourselves and set healthy boundaries, for it is our responsibility to take care of ourselves and energy. However, we know come from an understanting space of unity and love for All and what caused us fear, is felt now as compassion, which is the result of the conscious evolution that we are experiencing while we walk as humans. Allow what is falling apart to fall apart. This is where mastery resides, in embracing and accepting all as equal, knowing that everything that is happening in our human existence is happening for us to learn from it, not to us. All is occurring for us to pass from reacting with fear or attacking back, to react with love and compassion. It is all showing us precious opportunities for us to grow in love and power, never for us to use them as excuses of how unworthy or powerless we are. You are forever protected. You do not need to see your Guides or other beings who protect you, when you are in the astral. You simply have to remain open, in the love and light that you are and have consciously decided to dwell. You have within all the power to keep choosing to stay in the frequency of love. There is no one that can truly make this choice for you. When these attacks occur are not meant to show you that you are not where you need to be. On the contrary, they are meant to show you what you need to master/empower and heal, for you to reclaim your sovereignty and freedom. Everything, even what we continue to see as a threat to us has a purpose and a blessing for us. It is our choice to see it for what it truly Is or for what our fears and egoic self want it to be. I thank you for remaining, always, in the Illumined Essence of your Soul, shining your unique Spark of the Divine for All, whether the circumstances are convenient or not. Thank you for all you are and do, Beloved Companions.